Today we have a double dose of War Thunder news: War Thunder has launched into Early Access on Xbox One/Xbox One X, and the Naval Battles Closed Beta has begun! Naval Battles will be available today on PC, Xbox One and PS4, and players that purchased the Founder’s Pack for Xbox One will also get access to the Naval Battles Beta. PC and PS4 players can also purchase a Founder’s Pack to get immediate access to the Closed Beta, premium vehicles and more. 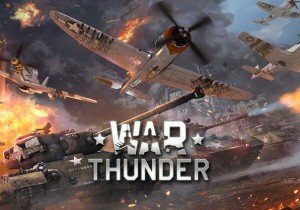 The full free-to-play launch for War Thunder on Xbox One will be later this year, but those of you who can’t wait, there is a 19.99, 59.99, and 99.99 Founder’s Pack that come with unique decals, titles and at least one Xbox One exclusive premium vehicle. The 99.99 pack comes with all three (XM-1 Chrysler tank, the F4U-4B Corsair aircraft of VMF-214 squadron, and the USS Bennion destroyer). In addition to that, War Thunder Naval Battles Closed Beta has begun on all platforms and it’s Gaijin’s Entertainment’s goal to combine all three aspects of battle into one cohesive game, creating the most realistic battle formula ever. From patroling torpedo boats to powerful cruisers, and air combat, players will have to be aware of the land, sea, and sky while in-game. Initially, War Thunder Naval Battles Closed Beta will feature USA and Germany nations. Players will have almost 50 warships at their disposal and research trees that feature a new progression system, allowing players to quickly unlock the type of ship they want to play first. Access for Naval Battles is available for players immediately by purchasing a Founder’s Pack which includes one destroyer (either the American USS Cowell or German Karl Galster) plus premium currency and a premium account for 49.99. The RIFT Essentials Edition makes it less expensive for new players to capture all the game’s souls and build their perfect characters.